Custom cabinet dimensions 38" W x 8" H x 14" D.
Typical cabinet dimensions 29 3/4" W x 8" H x 14" D.
Click to see a single row 4-drawer cherry piece. 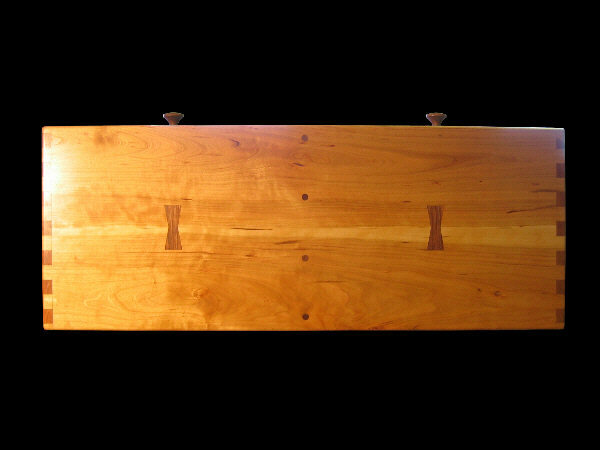 Click to see a similar piece in red oak. This very special modular Cd storage/ apothecary combination piece is solidly made to last for generations. 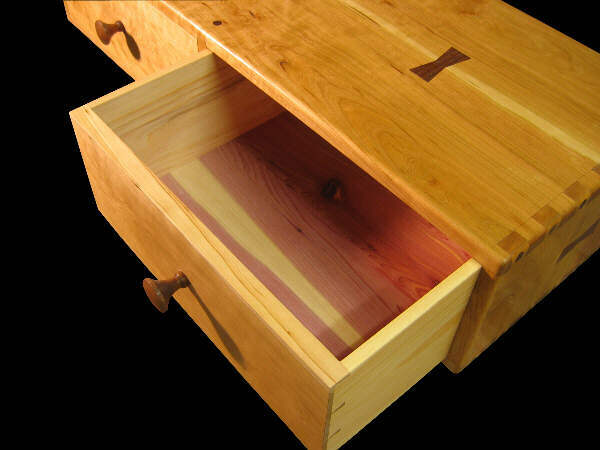 Construction features intricate dovetailed joinery and hand workmanship. 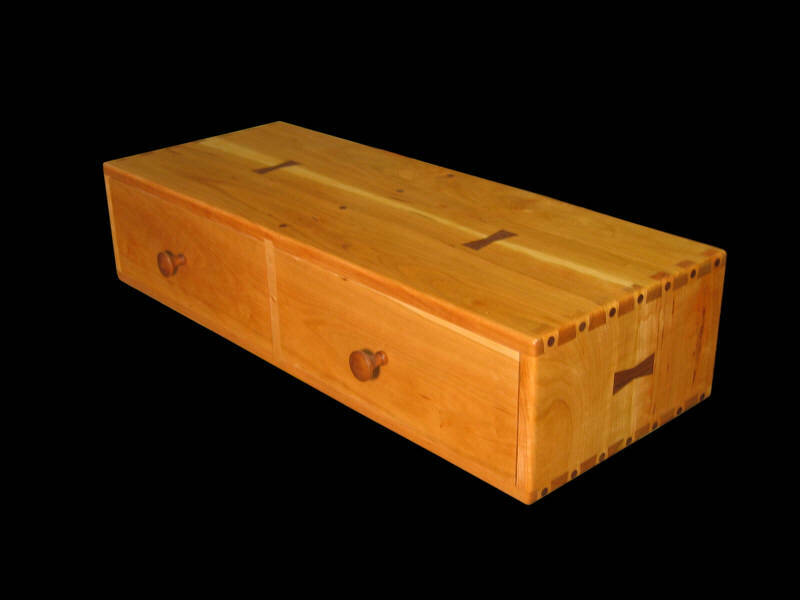 May be made in a large variety of woods and to custom dimensions. 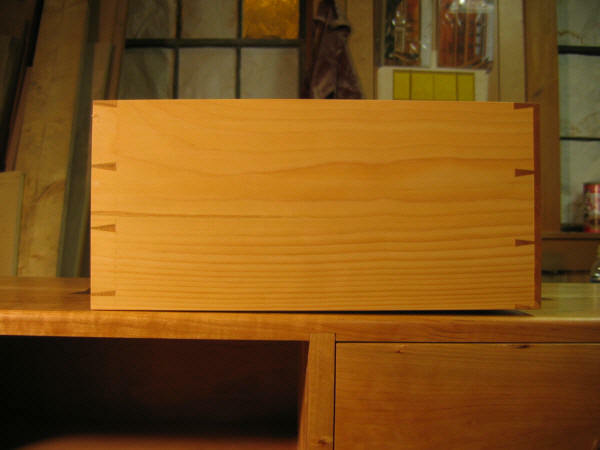 Typical drawer showing hand cut dovetail joinery.